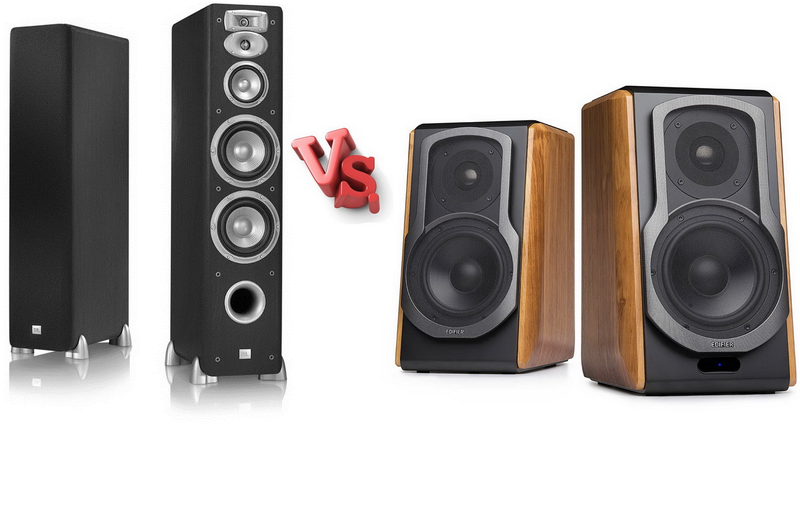 Floor Standing vs. Bookshelf Speakers – Which Is Right for You? Music is the inseparable part of our lives and we are constantly exposed to its influence no matter where we are and what we are doing. Music is in every café, in every shop, even in the streets. Many people can’t imagine working, studying or even driving in complete silence so they play some music. If music helps us so much in all of these situations, imagine how great it is to come home and relax after a hard day with a few favorite songs played through your home speakers. Many people decide to buy 3-piece speaker systems because they are easier to set up than home theater speakers and they offer amazing sound quality. Some of the best solutions in these situations are floor-standing or bookshelf speakers that can fit most of the houses or apartments because they are simpler than the real home theater systems. The problem is people can’t decide which are better for their home so we have decided to write this article and present both of the speaker types in detail and compare them. We are also going to mark the most important things that affect your choice and tell you what to consider before buying any kind of speaker. Floor-standing speakers are very tall and usually rectangular speakers that got their name because they don’t need any stands to stand on. They sometimes have small legs on the bottom so they don’t need to stand directly on the floor because that can affect the sound. 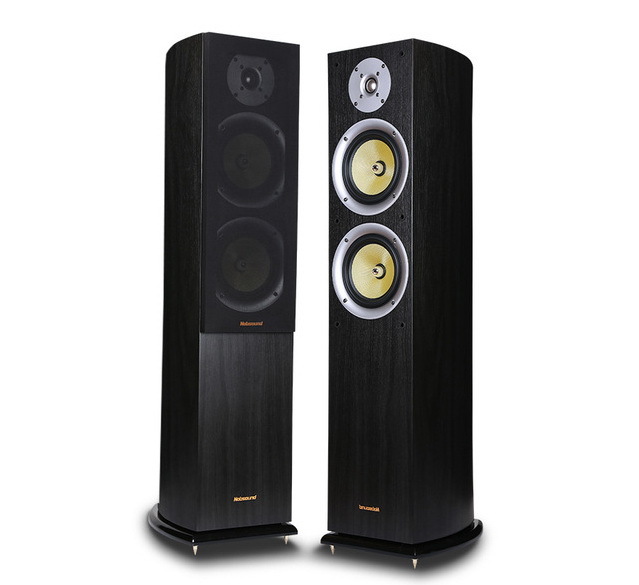 Thanks to their size (height actually), they are also called “tower speakers”. These speakers can be big or small. The larger ones are big enough to have 3 types of drivers inside one housing (a tweeter for highs, a woofer for lows and a midrange speaker that delivers mid tones and vocals). They can also have passive radiators or bass reflex ports on the front or on the back side in order to improve low-frequency reproduction. The smaller versions of floor-standing speakers are also slim and tall but they are shorter than the regular floor-standing speakers and they can be used as parts of your home theater speaker system. No matter how they look, floor-standing speakers deliver great and rich sound that is actually the closest to full-range sound that home speakers can get. They are powerful, they have amazing output capability, and thanks to their sensitivity, they can be extremely loud. We don’t say the floor-standing speakers are perfect but here are some of the reasons why you should buy them instead of bookshelf speakers. They are tall and attractive, and they look quite powerful. When a person enters your living room, the speakers will probably be the first thing he/she will notice. They are expensive which implies they are made from quality materials (often from good-looking wood or MDF) and can make any room look stylish. As these speakers are big in every aspect (in terms of dimensions and in terms of sound), they are more suitable for big apartments/houses with spacious rooms. They have all the drivers placed in one box – woofers for low-end reproduction, mid-woofers (midrange woofers) for reproducing midrange frequencies, and tweeters for high-end frequencies. These speakers offer great bass performance which actually makes up to 30% of the general listening impression. In case you can’t or don’t want to get a true home theater system, floor-standing speakers are the best option for a serious listening experience. Floor-standing speakers aren’t old-fashioned bulky home speakers. Although people aren’t aware of that, these speakers can be very modern. Some of them support Bluetooth technology while some can even play music from USB sticks or SD cards. Here are some of the downsides of floor-standing speakers that you should know if you’re thinking about buying them. Being so tall and bulky, these speakers are hardly portable, no matter if they are wired or wireless. You won’t be able to transport them or use outdoors as it will be difficult enough to move them from one room to another. No matter if the speakers come with this problem or they develop it over time, cabinet vibrations are very annoying, especially if the owner likes to turn up the volume. The worst thing is that this problem often can’t be fixed although sometimes tightening the screws can ease the pain. 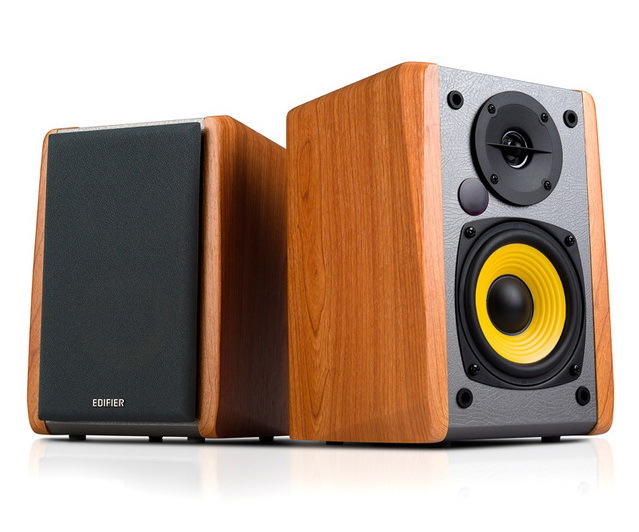 Big speakers usually come with big prices and floor-standing speakers aren’t different. The price can go up to a few thousand dollars, so we advise you to reconsider your budget before buying them. As we have mentioned, these speakers have significant sensitivity, which means they are very loud. You should be very careful with volume controls, especially if you like loud music because your neighbors might not like it. Bookshelf speakers are much smaller than floor-standing speakers, they come in the shape of a cube, box, or sometimes, sphere. They usually have two-way driver configuration but there are also some models with three drivers built inside. Those with two-way driver configuration have one tweeter in charge of the highs and one mid-bass driver in charge of the vocals and lows. The better option is the three-way configuration with a separate bass port. Usually, you can pair your bookshelf speakers with a matching subwoofer. This way, the bass performance will be much better and you will be able to upgrade your speakers into a small home theater (or surround sound) system. Thanks to their dimensions, these speakers can be placed in different ways. They can be placed on stands, on a bookshelf, or even placed on a wall. Bookshelf speakers are made so small in order to be used as a solution for those who want good sound that can fit small rooms. Thanks to their size, they save a lot of space leaving enough room for furniture or some accessories. Thanks to their small dimensions, the speakers are also more portable than floor-standing speakers. Bookshelf speakers deliver slightly lower sound quality than floor-standing speakers but they are much more affordable. This means you can get a great pair of speakers for a few hundred dollars (on average), which is more than acceptable. You can use two or more bookshelf speakers to make your own home theater (or surround sound) system. This can be achieved by using the bookshelf speakers as the front, surround, and height channels, while the matching subwoofer would be in charge of the lows. While the number of placement options for floor-standing speakers is very limited, bookshelf speakers can be placed in different places and in different ways. While floor-standing speakers can break walls, bookshelf speakers can’t possibly reach the same volume level. This is good for your neighbors but it can be a disadvantage if you love to listen to music at high volumes or if you want to throw a party. In the end, let’s repeat some of the previously mentioned facts and emphasize the most important things that should be considered when choosing between floor-standing and bookshelf speakers. First, you should determine how much money you can or want to spend on this type of audio equipment. If you have a limited budget, it may be better to make some adjustments or upgrades and try to get the best out of the bookshelf speaker set. Second, you should make sure your living room or bedroom is large enough for the speakers you want to buy. There is no point in placing floor-standing speakers in a small room or placing bookshelf speakers in a large one. You won’t get the best possible performance in either case. Also, if sound quality is very important to you and you are buying speakers for some serious listening, you should definitely buy floor-standing speakers (if the size of your house/apartment allows that). Finally, you should try the speakers in a store if you have that opportunity. No matter how many reviews you read or how good the speaker specifications are, you can’t really know if you like the sound of a certain speaker until you hear it.